For the first time the Queen discusses her Coronation, which took place 65 years ago this year, in a special by Atlantic Productions and FremantleMedia International (FMI). “What we get to see is a Queen who is highly knowledgeable, but who also has a great sense of humour and wit,” says Anthony Geffen, CEO of Atlantic Productions. The film also reveals secrets of the incredible jewels, including how they were hidden in a biscuit tin under Windsor Castle during World War Two. 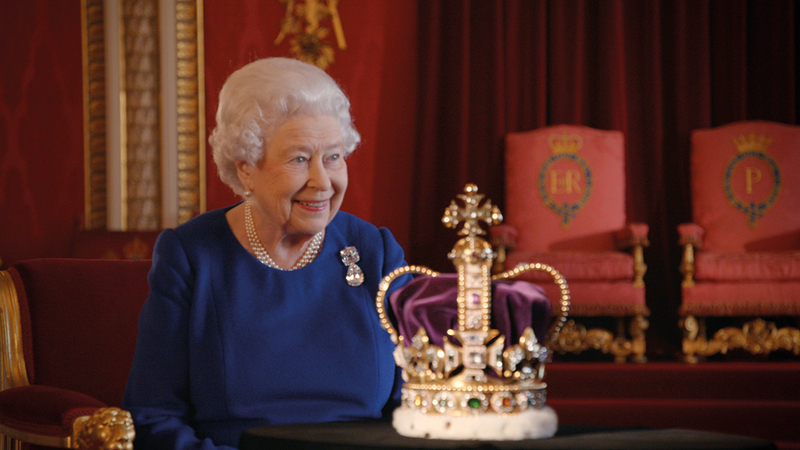 The Crown Jewels, which form part of the Royal Collection, consist of 140 items and contain 23,000 precious stones. These objects form the most complete collection of royal regalia in the world. The gems are inspected with 4K and Ultrascope cameras to capture the intricate details of the stones. “This show has had huge international appeal. The Queen is a figurehead known throughout the globe and is still a very important figure throughout the 53 Commonwealth countries,” adds Geffen. FMI has so far taken the title to 70 territories including CBC in Canada, France Television in France, Telefonica in Spain and Sky in Italy.